Best Choice Products is proud to present this new toy developed specifically for toddlers. It is decorated with different cute animals that perform different functions. By setting it to the music mode, each animal will perform a different sound or sing an adorable tune. If the toy is switched to story mode, the animal will either tell a story or speak a quick sentence. With the buttons that light-up, this toy engages kids to fine tune their motor skills, and practice their listening skills in a creative fun way. We purchase our products directly from the manufacturer, so you know you're getting the best prices available. This is an exceptionally well-made toy for babies age 6 months+. It's super fun, colorful, engaging and also quite educational. It requires 3 AAA batteries to run and they are not included with the toy. You will also need a mini cross screwdriver to open the battery compartment. There are two volume settings and plenty of little things that move, roll, turn and flash. 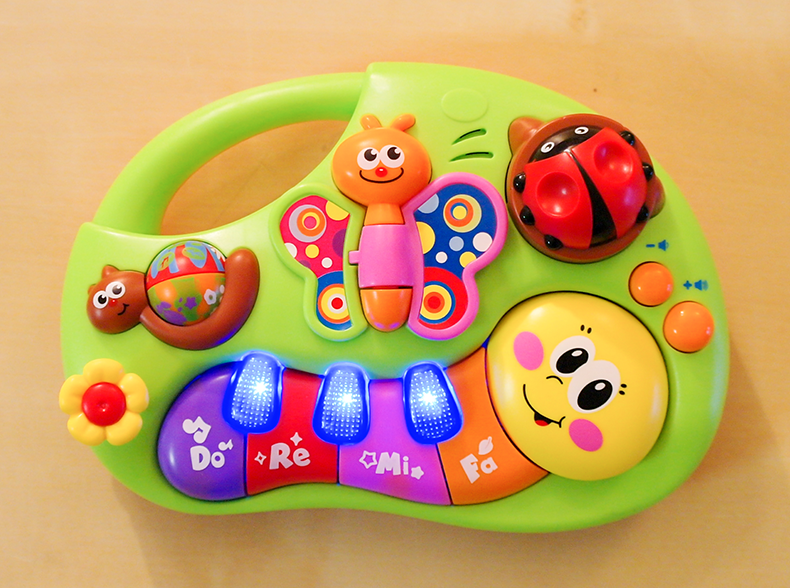 The lady bug spins around, the butterfly's wings are moving, the snail's shell rolls around and all the piano buttons set off flashing lights. It's really extremely entertaining and attention grabbing, and my (already 18 months old) daughter had plenty of fun playing with this toy. The size is perfect for the target age group. It's lightweight, so your baby can even lift it up without straining themselves. It's good for entertainment on-the-go, too. The colors are vivid and the shapes of animals very friendly-looking. It seems very sturdy and safe for your baby to play with. All in all, a really nice baby-toddler toy that will bring plenty of joy for your little one. I most definitely recommend it.